Evergreen insights into the nature of the Left, labelled with current concerns. With those children, he thought, that wretched woman must lead a life of terror. Another year, two years, and they would be watching her night and day for symptoms of unorthodoxy. Nearly all children nowadays were horrible. What was worst of all was that by means of such organizations as the Spies they were systematically turned into ungovernable little savages, and yet this produced in them no tendency whatever to rebel against the discipline of the Party. On the contrary, they adored the Party and everything connected with it. The songs, the processions, the banners, the hiking, the drilling with dummy rifles, the yelling of slogans, the worship of Big Brother — it was all a sort of glorious game to them. All their ferocity was turned outwards, against the enemies of the State, against foreigners, traitors, saboteurs, thought-criminals. It was almost normal for people over thirty to be frightened of their own children. Anything old, and for that matter anything beautiful, was always vaguely suspect. This must be that famous liberal tolerance I’ve heard so much about! In addition, one woman tracked down my salary information as listed elsewhere online, screenshot it, and posted it, with a threat that I was being watched. I never replied to any of those comments, but I wonder if any of these people realize how ironic their complaints are–their hostility illustrates exactly why I wanted to make a place where conservative teachers could talk without being insulted. So You Think 1984 Is For Liberals? Let’s Ask Instapundit. Don’t get me wrong: I’m always happy when liberals start reading classics. But as usual, the “progressive” interpretation of things is completely devoid of historical context. I’m not just talking about the anti-communist criticism underlying the book’s commentary. Of course we can’t expect American SJWs to catch on to that. I simply mean their tacit assumption that this text is uniquely tailored to their snowflake-friendly conception of the world, tunnel-visioned as it is. Just ain’t so, I tells ya. For every clever parallel some 2017 progressive draws between Orwell’s masterpiece and their jaundiced vision of the contemporary political landscape, conservatives have drawn dozens of far more meaningful comparisons over the years. Can liberal news commenters equal this litany of allusions during the Trump years? Conservatives and liberals obviously see things differently, but lately I’m impressed by how their differences reflect preferences for opposing sides of the same coin. On issues from Obamacare to no-fault divorce, from abortion to welfare, our reporting and commentary reflect a choice of one value over another. Perhaps this is why conservative media is more likely to report on big-picture stories of societal decline and abuse of systems, whereas liberal media is more likely to report on intimate stories of individuals being abused, but ostensibly being helped by institutional evolution. Why do so many liberals seem to overreact to events? Perhaps the basic difference in our worldviews hold the answer. One of the many inherent benefits of conservatism is that, with an emphasis on heritage and tradition, a healthy respect for historical perspective comes automatically built in. Conservatives don’t overreact because we’re wired to play the long game. We base our lives on eternal verities and look for permanent solutions. Progressive liberals, on the other hand, living in a state of constant flux dedicated only to the obvious here-and-now, have no such frame of reference. When all of world history is merely a monolithic march of one-dimensional oppression, then of course your more “enlightened” views make this era (and you yourself) the most important thing that has ever happened. Therefore, every trendy new issue becomes cosmically crucial. Every loss becomes the most catastrophic tragedy ever, because as far as your values recognize, today’s event is the only thing that has ever even happened. All dissent becomes a profound personal insult, demanding retaliation of the highest order. Their cultic obsession with their own myopia defines who they are, and cripples any chance they have of acting rationally in a civilized world. This week a friend of a friend posted this video on Facebook, purporting to show that Donald Trump’s supporters are evil and racist and bad and want to commit heinous civil rights abuses. The following conversation ensued. I reproduce it here to display the total lack of logic and reasoning powers that some of these ideologues have. Tweets are pretty ephemeral little things, but this one from a few weeks ago has stayed with me. What a perfect illustration of the ridiculous insanity today. Three screen shots will demonstrate some highlights (or lowlights), though the whole thread has many more of both. Go read the whole thing if you want to be sad. And I don’t mean “conservative” here just in the sense that Bradbury is arguing for preserving an established way of life, though his most famous work certainly does that. 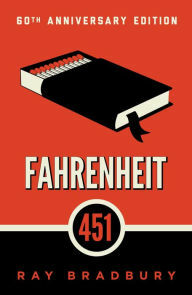 No, despite its perennial status as a staple in the counterculture, Fahrenheit 451 defends the ideas of the right far more than the those of the left. It’s always fun to track the many items in our modern world that Bradbury basically predicted here: earphone radios, massive flat screen televisions, reality TV, etc. Far more prescient, though, are the modern issues of the Puritanical, tyrannical left that he saw ascending to dangerous heights. Consider these passages from Beatty’s exposition in the first third of the book. I’ve labeled them with contemporary problems that Bradbury described perfectly. Censorship comes from aggrieved special interests who don’t want to be challenged. This narrowing of acceptable ideas helps dumb down the culture and focuses it on lurid media that stimulates the body and pacifies the mind. A sprawling government bureaucracy can infantilize society through a shallow, technical education system and a coarse, hedonistic media culture. I recently read two completely separate articles that make an intriguing contrast. On high school and college campuses and in certain political and social media circles, the growing visibility of a small, but semantically committed cadre of young people who, like Crownover, self-identify as “genderqueer” — neither male nor female but an androgynous hybrid or rejection of both — is challenging anew the limits of Western comprehension and the English language. Inviting students to state their preferred gender pronouns, known as PGPs for short, and encouraging classmates to use unfamiliar ones such as “ze,”’sie,” ”e,” ”ou” and “ve” has become an accepted back-to-school practice for professors, dorm advisers, club sponsors, workshop leaders and health care providers at several schools. Note the tell-tale theme words: “self-identify,” “describe themselves in terms,” “preferred gender pronouns.” I wonder why, when there’s a conflict between biological reality and psycho-emotional consciousness, we actually privilege the latter and disdain the former as some sort of obsolete relic. I asked this of someone last summer and was immediately called a “transophobe.” Apparently that settled things. My kids discovered Tom and Jerry last year, so we go them a DVD. 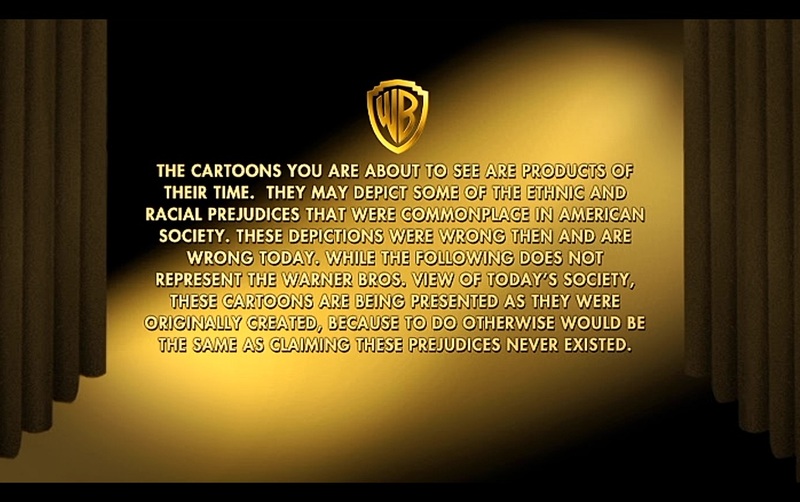 This disclaimer runs at the beginning. Our obsession with publicly “washing our hands” of every shred of anything in the past that might be interpreted as not in harmony with our current sensibilities is very sad. It’s neither healthy nor productive. It starts as a dog and pony show, and ends as a witch hunt. I wish this society would grow up and be more innocent. Reading a minor missive from Mark Steyn at National Review earlier today, I was struck for the umpteenth time by just how breezily loquacious he is. It’s just a blog post, really; by no means a full-fledged article–and yet it carries the confident charm of the most polished master’s thesis. I’m sure he merely dashed this off, yet is would stand as a major triumph for most authors. The teacher in me suddenly wanted to footnote his work. The world needs to see this as I do, I thought. Those notes are below. My humble apologies to National Review for reproducing the entire text here, but I think they’ll understand. It’s necessary to make the point: Steyn’s writing is densely allusive and whimsically clever, and all in the succinct service of a solid point. Looking at this after I’d marked it up, I found immense satisfaction in being a fan of Steyn’s. He’s truly a treasure. I’m a conservative because the ideas are solid and true, but it doesn’t hurt that men like Steyn can also make them so appealing. One looks in vain for such a scribe on the left. I mean, could you even imagine a similarly footnoted post called The Annotated Frank Rich? I see David Brooks has attracted a bit of pushback for describing Ted Cruz as “the Senator from Canada,” perhaps snidely hinting at divided loyalties. The Times’s man has jumped the moose with this one. As it turns out, Brooks, like yours truly, was born in Toronto. I think we can all agree that the only thing worse than a Canadian is a self-loathing Canadian: It’s bad enough that the first Canadian president of America has to run around pretending he’ll be the first Hispanic president, but it’s outrageous that the New York Times’s only Canuck columnist should be the Roy Cohn of Canadians. Anyway, as NR readers know, my position, as the presumptive senator from New Hampshire, is that, given the mess you Americans have made of the GOP, I’m in favor (actually, I’m in favour) of an all-Canadian ticket next time round. But in the meantime I don’t see why we Canadians have to skulk around in a state of shame to the point where effete maple-scented Timesmen are forced to be more good-ol’-boy-than-thou and jump the first Canuck in the Senate parking lot. Nuts to this. This is sick. What next? Elizabeth Warren forced to admit she’s one-thirty-second Manitoban? It doesn’t have to be this way. I have a dream that one day my children will live in an America where they’re judged not on the color of their skin but on whether they’ve got an aunt in Saskatoon. Attorney who prosecuted the Rosenbergs and worked with Senator Joeseph McCarthy; Steyn humorously implies that Brooks is persecuting his own people. Effeminate; Steyn often derides liberals as insufficiently masculine. A play on the idiom “holier-than-thou.” Steyn is accusing Brooks of populist pandering. Warren, a Democrat Senator from Massachusetts, famously claimed Native American heritage as a part of her “family folklore,” despite the only known Native American in her family tree being her great, great, great grandmother. Obviously, a coy reference to Martin Luther King, Jr.’s “I Have a Dream” Speech. Besides all the more intellectual reasons why I am a conservative, I prefer it to liberalism because I simply like its values more. Conservatism is concerned with the primary needs of existence: physical safety, family, private property, freedom. Liberalism is concerned with secondary wants: egalitarianism, self expression, fulfillment, comfort. I like subscribing to a worldview that prizes the eternal over the ephemeral. “I would never call a redneck a name.” Love it.